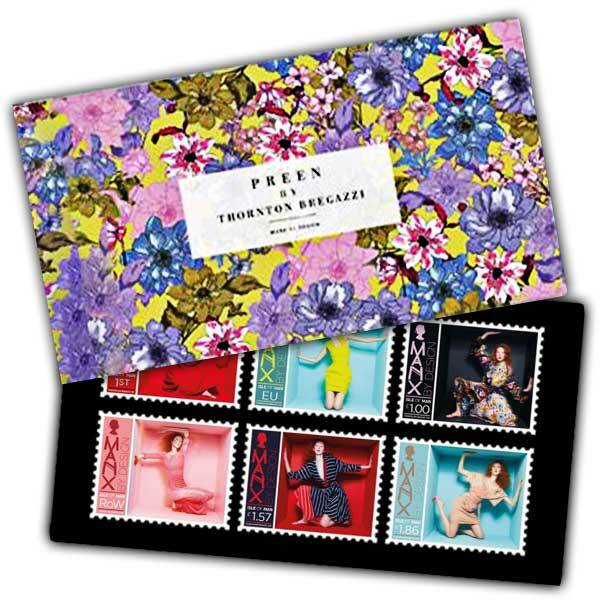 The beauty of this standout stamp collection is brought to life through this four page shiny, full colour brochure with text from the team at Preen by Thornton and Bregazzi. Including a complete set of mint condition stamps, supplementary images and a behind the scenes look at the designers at work. Consisted of in this prestigious pack is the story behind their most renowned pieces such as the red Finella gown as used by the Duchess of Cambridge throughout the 2016 Royal Tour of Canada, their stripe Flintoff dress which graced the cover of Vogue and their most popular dress, the citrus Power gown as worn by Amy Winehouse and Gwyneth Paltrow. This is a best addition to any philatelic collection or a best present for someone with a love of fashion.